Home » Decor & Design » Storage & Organization » Towel Rack Ideas – Sensible Stylish Storage! Towel Rack Ideas – Sensible Stylish Storage! Occasionally, a unique way to hang towels is needed. Sometimes this it due to a desire to make a certain decor statement. Sometimes it is due to storage space being in short supply. 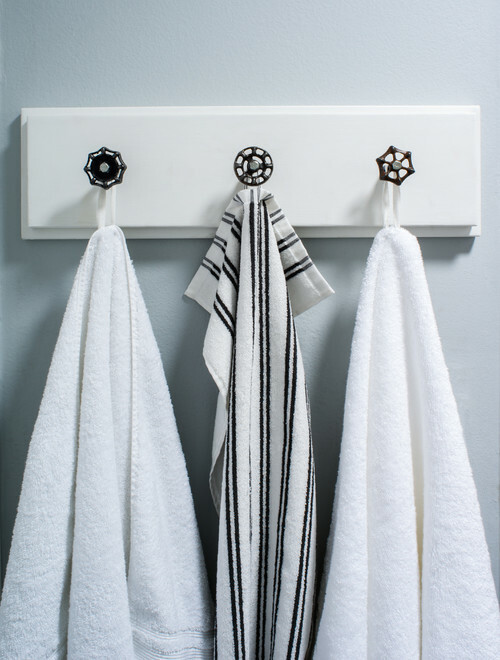 Whatever the reason, these towel rack ideas are sure to inspire your decorating sensibilities. 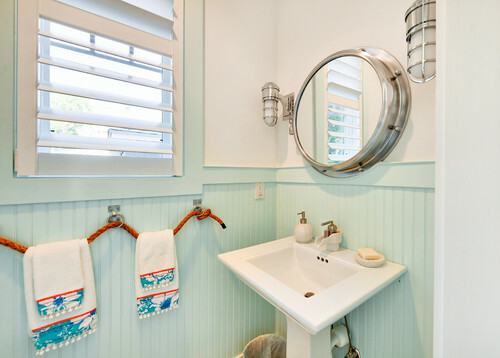 Using hemp rope as a towel rack is terrific for beach themes (similar to the idea that I recently presented on toilet paper storage). As seen here and in the feature image, rope can be used in a variety of ways. It can even be used to create beach wall art if you want to extend the theme. 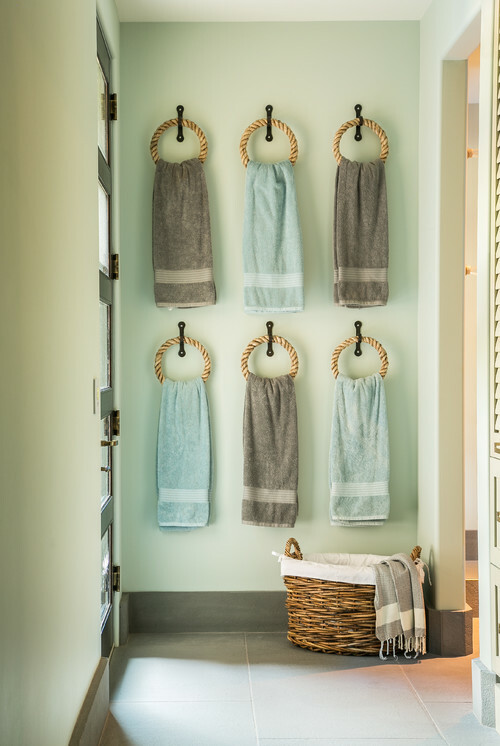 Consider creating wall art out of your towel storage. Hang multiple ring holders and alternate towel colors. This provides storage and beauty. How cute is that?!?! This towel rack is quite unique. 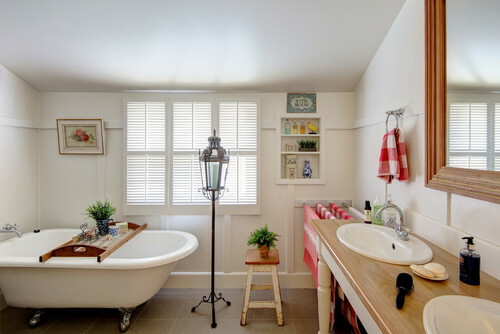 To complete this English look, the owner utilized an old train luggage rack to achieve towel storage. This home owner decided to use the extra space between the counter top and the wall to install a few rods. This allows multiple towels to be hung for drying or easy access. Think outside of the box like this home owner did. 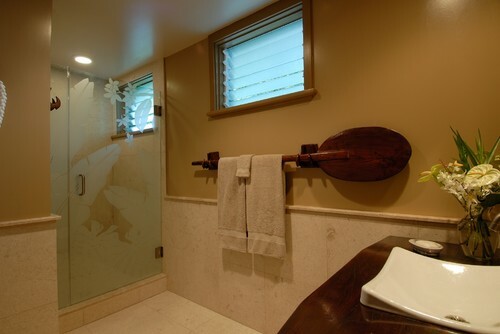 An oar not only provides a nice place to drape towels, it also serves as a nice piece of wall art. 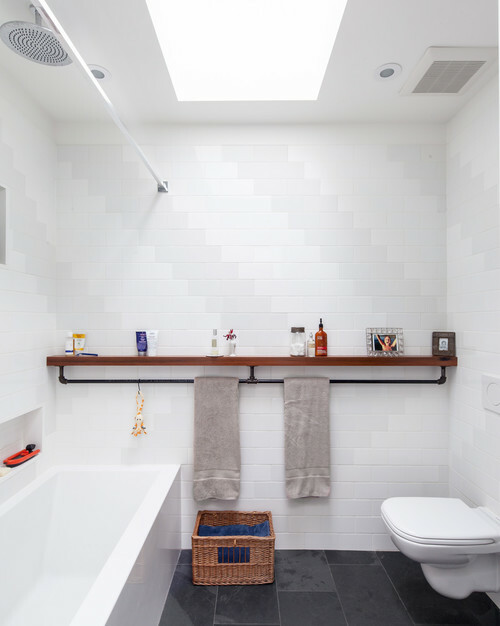 Why not add a coat rack to your bathroom? Eight towels or wash clothes can be hung from one, and it is definitely different. This works well when there are no cabinets and no wall space to add additional storage. (Think apartments). 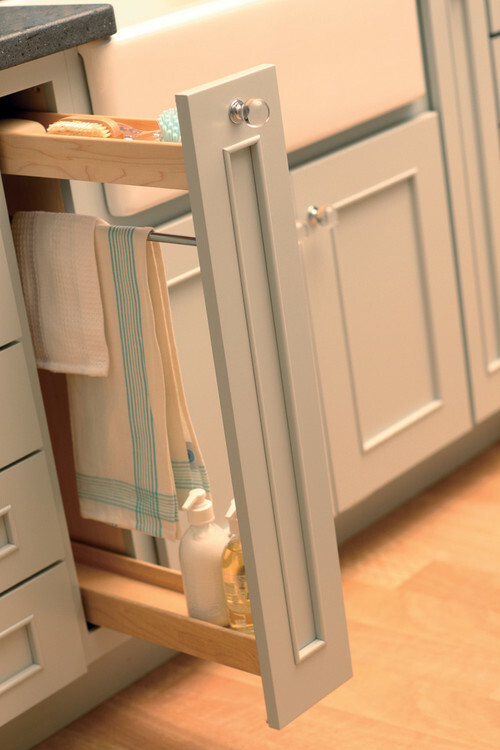 If you have a filler space in your cabinetry, consider turning it into a pull out. These are great for hanging damp towels to air dry. I would love to have one in my kitchen. An old ladder leaned against a wall makes a great towel rack. It is another way to add storage when it is not possible to add to a wall. It also works beautifully for displaying towels. 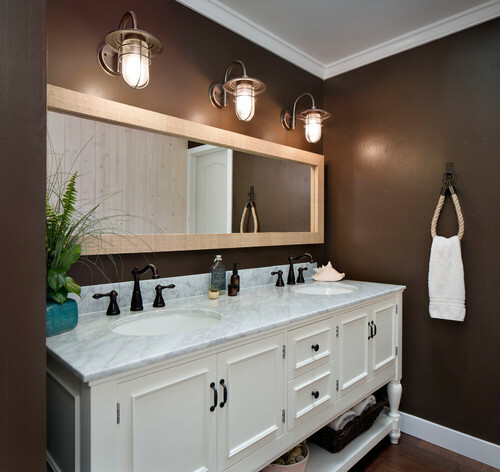 The combination of soft and clean towels contrast nicely with the old and rustic wood. Consider adding some plumbing pipe to a shelf, or just create the entire piece yourself. This works well if you are wanting an industrial look. 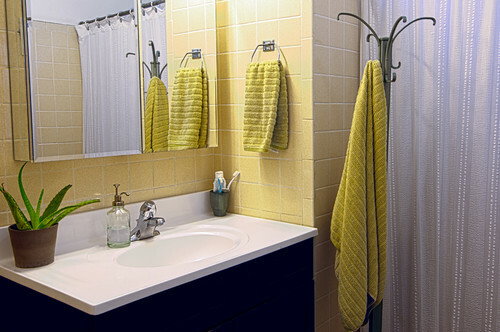 Appliance pulls make great towel racks and can be mounted to the front of your sink. 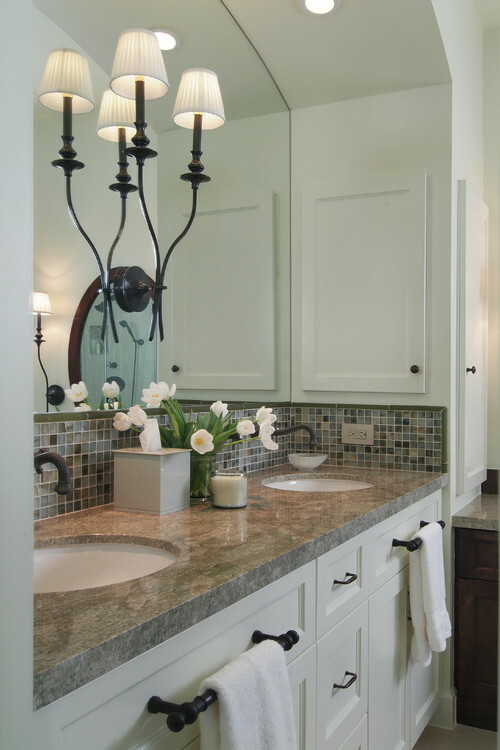 The large size and extra depth helps to keep the damp towels away from the cabinet doors. This is a nice alternative to towels mounted to the side of the sink. 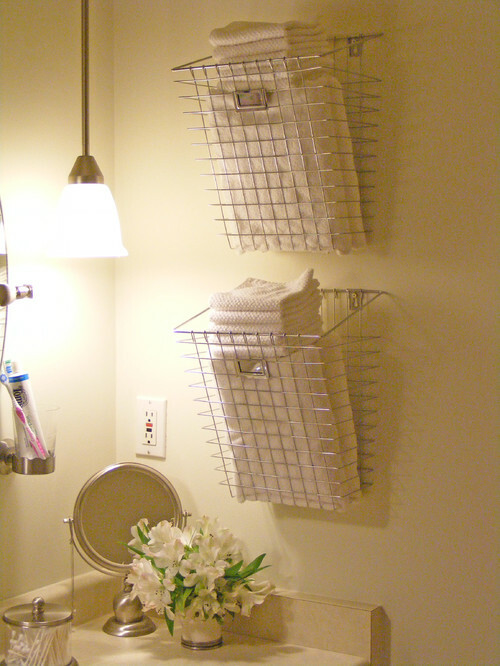 Here, this home owner uses hanging file racks, from the home office section, to hold guest towels and washcloths. This allows the towels to be separated into each days worth of washing needs. I love it when people come up with original ways to use things in a fashion that they were not intended to be used. These plumbing valves are a great example of that. 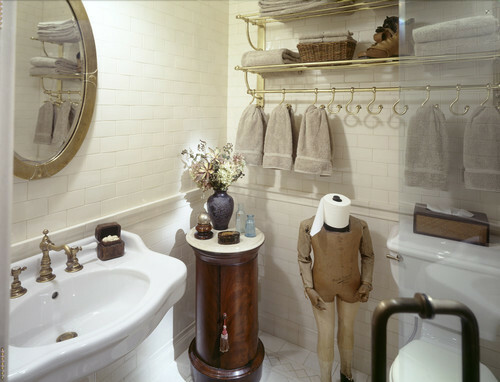 So, what creative towel rack ideas have you come up with? Feel free to share your ideas with us in the comments section below.